This great parcel is approximately 39 acres and is located just north of the Taylor and Price County line in the Township of Ogema. The parcel offers approximately half tillable cropland and the other half a nice mix of northern hardwoods. The deer and turkey sign looked great while walking this property. 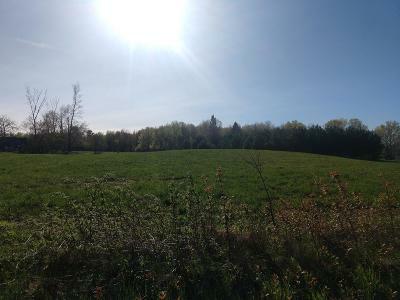 This parcel is a rare find offering field, beautiful wooded acreage and easy access on a quiet town road and would be a great recreational parcel or could be a choice building site with utilities available at the road! There is a storage trailer located on the property as well. © 2019 North Woods MLS. All rights reserved. Information deemed to be reliable but not guaranteed. The data relating to real estate for sale on this website comes from North Woods MLS and the Broker Reciprocity Program.sm. Real estate listings held by brokerage firms other than RE/MAX New Horizon Realty, LLC are marked with the BR logo and detailed information about them includes the name of the listing brokers. Listing broker has attempted to offer accurate data, but buyers are advised to confirm all items. Information last updated on 2019-04-26.